The International Finance Corporation (IFC) and VPBank of Vietnam have extended US$50mn in commodity finance to Tan Long Group, a Vietnamese commodity trader. The money will be used to diversify procurement of agri-commodities and is part of the IFC’s global warehouse finance programme (GWFP), which works with agricultural producers and traders. The financiers have a 50-50 risk-sharing agreement, each on the hook for US$25mn of the debt, which will be drawn down on an individual transactional basis by Tan Long Group. Tan Long Group is expected to use the funds to procure, store and distribute animal protein goods through a growing value chain for such products in Vietnam. This, according to the company’s deputy general director Nguyen Thi Thanh Van, will help “increase efficiency of other agribusiness value chain participants and Vietnam’s agribusiness sector in general”. Funds disbursed by the GWFP are backed by warehouse receipts, which can be used to provide financing in the form of short-term loans or guarantees to agri producers or traders. It has to date supported more than US$6bn of trade in the sector. “Vietnam’s agriculture sector is at a turning point, with growth increasingly leveraging increased efficiency, diversification and value addition.,” says Kyle Kelhofer, IFC country manager for Vietnam, Cambodia and Laos. The IFC, which is the commercial lending arm of the World Bank, has also provided a syndicated loan to another Vietnamese bank, TPBank. 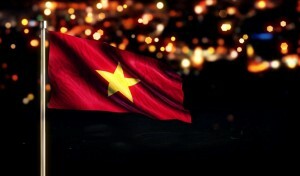 The US$100mn package will be used to on-lend to small Vietnamese companies. The IFC will contribute US$60mn from its own book, with US$22.5mn coming from a pool of funds the organisation manages, the Managed Co-lending Portfolio Programme. The remaining US$17.5mn is lent by the Industrial and Commercial Bank of China (ICBC). TPBank CEO Nguyen Hung says the funds will help it establish a “long-term digital strategy to capture the digital demographic growth opportunity and increase its reach to the unbanked and underserved segments”. The loan is intended to assist TPBank shift to a cashless system, which has been made a priority policy by the Vietnamese government, as a way of better servicing remote rural areas. The post IFC agrees Vietnam commodity financing package appeared first on Global Trade Review (GTR).